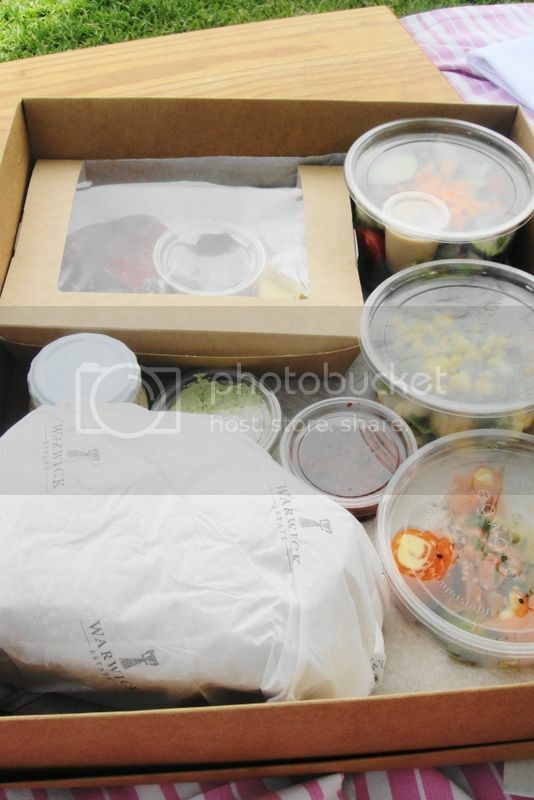 I bought an amazing Citymob deal for a Warwick picnic, wine tasting and vineyard safari. The picnic was definitely on the gourmet side! There are about four different picnic areas- I would recommend sitting in the beautiful wooden privacy pods- but booking is a must!! We were seated on the lawns. 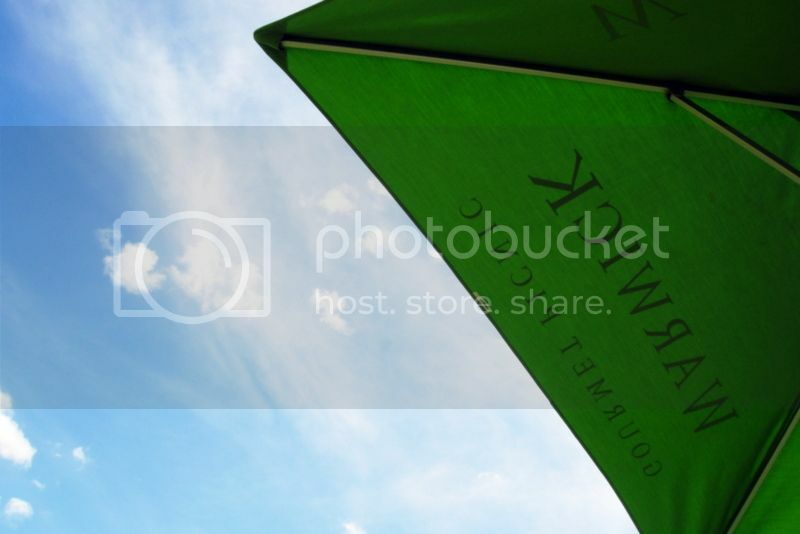 They set up huge Warwick umbrellas with giant comfy pillows and picnic blankets. It’s very romantic and has a wonderful atmosphere. We cuddled up on our giant pillow and waited for our picnic basket to arrive. Normally all this food can be purchased separately or you can opt for the basket for two at R299 which includes all the fabulous options listed above. I would definitely recommend the basket- all the choices are wonderful and it’s fun to mix and match all the toppings on your ciabatta. When you head through to Warwick consider their unique wine safari and wine tasting experience- definitely one for the books! Our plan to eat the picnic involved each grabbing a loaf of ciabatta and pulling off chunks on which to place interesting flavour combinations. The rolls were lovely and fresh and were very filling. The basil pesto and cream cheese spread was a favourite of mine with a wonderful smooth and creamy texture. The sundried tomato pesto had a fantastic sharp flavour which worked well with the cheeses and meats. The biltong pate was not such a hit- we found the flavour a little overpowering. 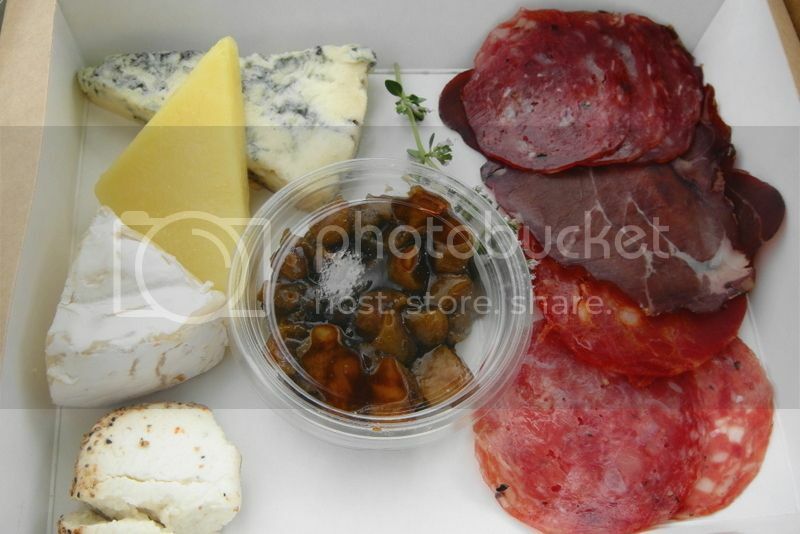 Here is the meat and cheese selection with the apricot balsamic chutney. The chutney was amazing!! Just fantastic! It was sweet and tart and just the right amount of vinegary- truly a wonderful flavour combination and worked incredibly with the meats and cheeses. The Coppa ham was my favourite very similar to black forest ham. And the Calabresse and Tascano salamis were great and full of flavour. We found the blue cheese too strong but loved the goats cheese and Camembert. The goats cheese was creamy and light and perfect!! Next up we had some salad options. 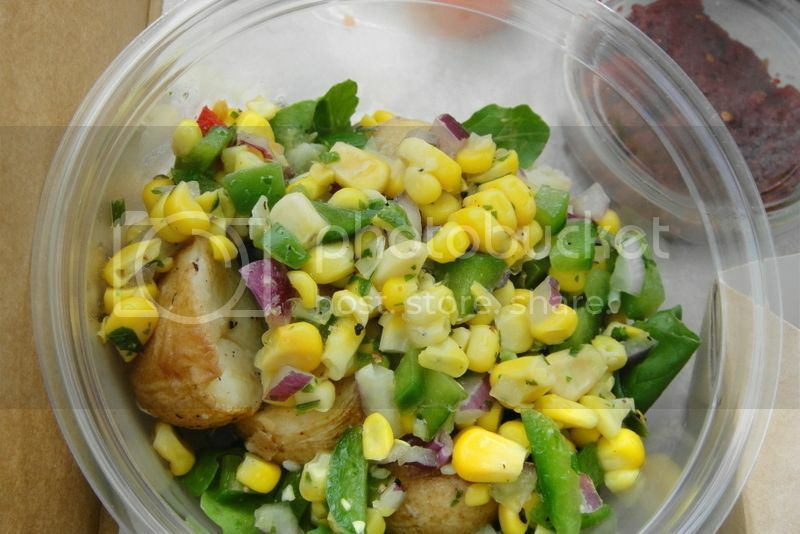 This is the roasted new potato salad with sweet corn salsa. The sweet corn salsa is made up of sweet corn, red onions, green peppers, chives and some wonderful herds thrown in for good measure. This was a lovely salad- very hearty and filling. And it appears to be a modern take on the standard picnic staple – potato salad! 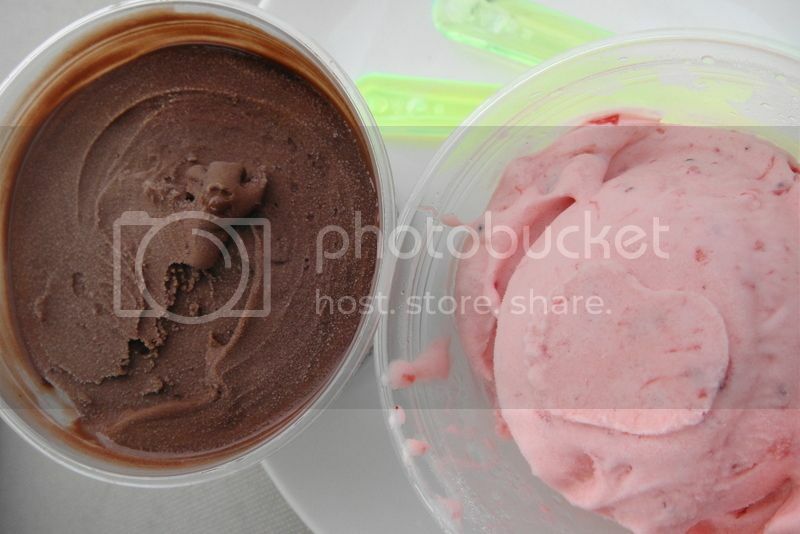 It really did taste like an English summers day in a bowl- happy memories! And we even got salmon roses!! We got so excited to open the picnic box and find sushi! Have you ever! On a picnic! 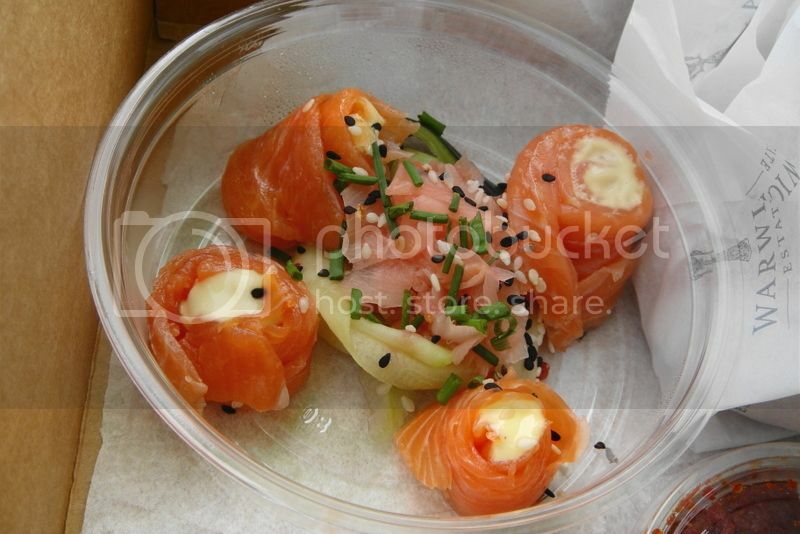 How wonderful 🙂 These are a picnic twist on normal salmon roses as the salmon is actually smoked salmon wrapped around sushi rice and topped with sushi mayo. Absolutely delicious and fresh and topped with a good amount of sweet ginger to clear your mouth for it’s next culinary excitement! Another gorgeous fresh salad we had was the farm salad with chef’s dressing. This was amazing!! So full of fresh ingredients and wonderful flavours! 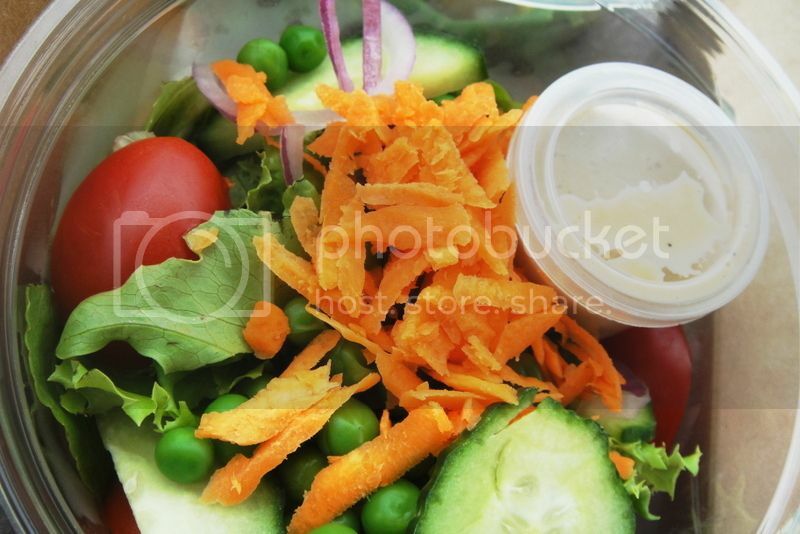 The salad was made up of lettuce, rosa tomatoes, little green peas, cucumber, red onions and freshly grated carrots. the chefs dressing had a slight Asian feel to it and worked wonderfully to compliment the freshness of the ingredients. After our very last bite- we collapsed on our giant cushions in a very content food coma. Heads up to the ladies- I would opted for shorts for this adventure- the risk of flashing rises considerably when picnic’ing in a dress! Get yourself to Warwick wine estate this holiday season. Find a sunny day and book an afternoon out at Warwick. Warwick is listed as one of the best picnics in the Cape Town/ Winelands area and I couldn’t agree more! It also caters well for families with it recently being recognised in the top ten wine farms for families- they apparently offer a children-friendly version of the picnic basket and a children’s playing area! What a treat! So spoil yourself this holiday with a day at Warwick! So much loveliness!!! Thank you for a fabulous website – really enjoy getting inspiration as to where we should go next. We have a friend going to Cape Town from the UK next week and she has asked us to recommend a wine farm in the Stellenbosch area where she could stay for a few days. She wants peace, tranquility, great views, good wine, good food and some luxury. I would definitely recommend Babylonstoren for a luxury wine farm retreat. They offer tours of their gorgeous gardens, wine tasting and have the most amazing restaurants – Babel for fancy dinners and Glaskas for more simple healthy fresh lunch options. The ingredients sourced from the garden are used in their restaurants. They also have an amazing boutique hotel and a spa! Oh if only I could join them!! haha!! Babylonstoren is not in Stellenbosch- but just outside Franschhoek. About the same distance to drive – and if your friends are anything like me the pull of the gorgeous MCC options and top restaurants in South Africa to be found in Franschhoek will be irresistible! !